A volunteer paramedic from New York City flew thousands of pounds of food, water and medical supplies to Puerto Rico on Monday, just as thousands attempt to make it to the U.S. mainland after the island was ravaged by Hurricane Maria. Eli Rowe, the founder of private medical airlift service Jet911, loaded the company’s private jet up with essentials and 10 volunteers -- including doctors and paramedics -- as the U.S. territory attempts to dig out from a direct hit by the then-Category 4 hurricane last week that left the island without power and damage abound. "We were just dropping and going," he said. 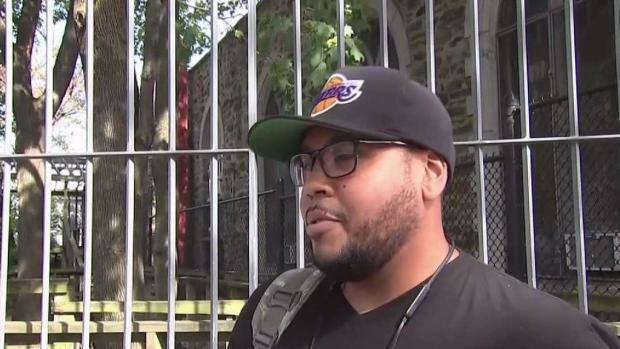 He added, "We were literally going door-to-door asking if people needed help"
One New Yorker is back in the Big Apple after spending days in Puerto Rico waiting for a flight home following Hurricane Maria. Erica Byfield reports. It wasn’t the first time that Rowe’s jet has made the trip; Jet911 flew food, water and volunteers to Houston in the wake of Hurricane Harvey and to other locations around the globe following other disasters. Rowe’s jet -- which he and friend Moshe Malamud partially paid for and partially got through donations -- also returned with four Puerto Ricans desperate to escape Maria’s destruction. The journey comes as families -- many of them in the tri-state -- scramble to bring relatives from Puerto Rico to the U.S. mainland. But with heavy damage and mass power outages, there have been few commercial flights departing from the capital, San Juan. Yadira Perez Marcano was one of the lucky few to snare a seat on the solitary Delta flight to New York City's Kennedy Airport on Tuesday. Passengers cheered when the plane landed at around 6:20 p.m., but Perez Marcano, whose apartment building in Bayamon, Puerto Rico, shook violently through the storm, said she had "mixed feelings" about leaving the destruction behind for the comfort of a sister's home outside New York City. "Oh my God. I left back my family, friends and co-workers. And I'm here. They don't have water. They don't have lights. They don't have so many things they need, and that makes me really sad," she said, starting to cry. Aurtoro Jiminez, a New Yorker vacationing in Puerto Rico at the time of the storm, wasn’t as lucky. He and his family were stranded in an un-air conditioned airport with thousands of other marooned travelers for days before they were able to board a humanitarian flight to Miami on Sunday. From there, he said it was much easier to figure out the logistics to get back to the Bronx. “It's a dream come true coming back over here,” he said. “They have it very rough out there right now." As U.S. citizens, Puerto Ricans can come and go as they please between the island and the U.S. mainland. Over the last decade some 450,000 islanders have moved to the mainland in search of better jobs. 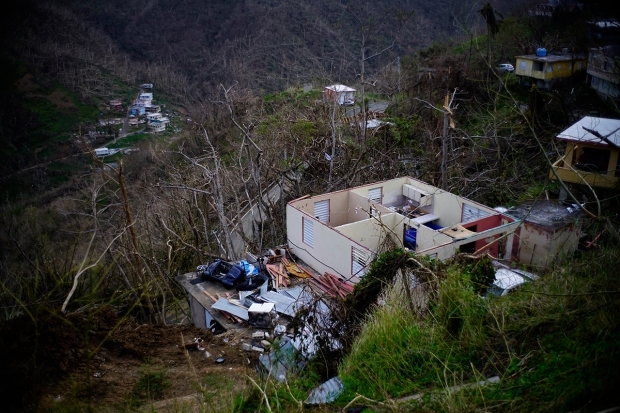 The scale of the devastation from Hurricane Maria, which tore across the island as a Category 4 storm last week, has left many more wondering whether it may be their time to leave. But the extent of any new, hurricane-driven influx will not be known for several weeks once commercial flights resume regular schedules. Mayor de Blasio has said he expects thousands of displaced Puerto Ricans to land in the city in the months ahead.